Hoping to gain insight into where good aggressive players take advantage of their opponents, I recently watched Fried “mynameiskarl” Meulders play $5/$10 Zoom in the Upswing Lab. There was a lot to learn from the session, but today I’ll discuss 3 tactics in particular that will help you be aggressive in the right spots. Each of them centers on a different hand example, which Fried either played or discussed during his session. Pokerstars $5/$10. 6-Handed. Effective Stacks $1000. On this type of board, we have a large range advantage with around 55% equity against the button’s range. Furthermore, we have the nut advantage, with around 10% of our range made up of overpairs or better, compared to the button’s ~4%. Note that we can consider overpairs the nuts when the SPR (stack-to-pot ratio) is so small and the board is so dry (no straight possible). When we combine these two factors, a frequent and small continuation bet is optimal here. This will be the case on almost all paired boards in 3-bet pots. After the bet gets called, however, we should check most of our range on the turn in order to avoid being exploited. 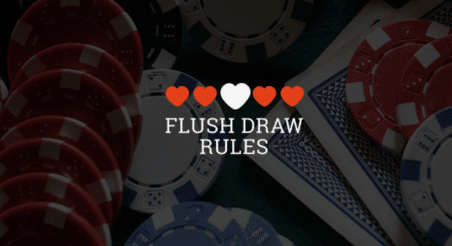 If we bet too often on the turn, the preflop caller can take the pot away far too often when we check, thus encouraging him to start floating more hands on the flop. And with this particular hand we will check/call turn and check/fold river on most runouts. Fried teaches you his closely guarded & super profitable cash game tactics in the Upswing Lab. Preview one of his $5/$10 Play & Explain sessions below. 3 folds. BU raises to $25. SB folds. Hero calls. The button makes a small continuation bet rather than a large one, which is why this exact spot is more common at higher stakes. This bet size forces us to defend with a lot more hands than we would when facing a two-thirds pot sized bet, for example. To properly defend against what is likely a small and very frequent c-bet strategy, we will need to raise a lot more than before. This both for value, since some hands will want to build a bigger pot, and as a bluff, since we want to balance our range to put maximum pressure on the button’s range. But what bluffs should we choose when the board has no draws? We’ll need to choose some unorthodox hands. These hands will pick up a draw on many turn cards, and most will be strong draws (8+ outs) that can be comfortably barreled as a bluff. 3 folds. Hero raises to $25. SB folds. BB calls. On the flop, we have a strong but not premium hand that is best used as a check back. This hand will be a great bluff-catcher if the BB starts betting. On the turn, once the BB checks, we have a very easy value bet. But what is the best size to use? And what other hands would we bet with? On the turn I like to pick just one bet size so that I can still value bet with a Jx. I don’t want to [bet too big and] make my range too polarized. I like to put everything into one bet size. Since we want the bottom of our value betting range to be a hand such as JT, we need to use a somewhat small size that will force the BB to call with a lot of weaker hands. This smaller size will also enable us to bluff freely since our opponent will need a very well-built range–containing many medium strength hands that he checked twice–to deny us from over-bluffing profitably. Any non-A-high, non-made hand can be used as a bluff on this turn (including total air like 87s and slowplayed draws like QT). Poker is a complex game; you will never be able to say that you know everything, or that you have no room to improve. The best way to learn and improve is to study what the best players do, and then reverse-engineer and integrate their strengths into your own game. Fried’s $5/$10 session provides a great opportunity to do that, so I hope you’ll check it out in the Upswing Lab if you haven’t done so already. That’s all for today! Leave comments, feedback, and suggestions for future articles in the comments below. Each learning module covers a different poker topic. Each Play & Explain is full of world-class strategic wisdom. ← Chris Ferguson Issues Black Friday Statement: Too Little, Too Late?